Buy Online Now! - Cruel Sea Rock Concert Posters and Memorabilia. 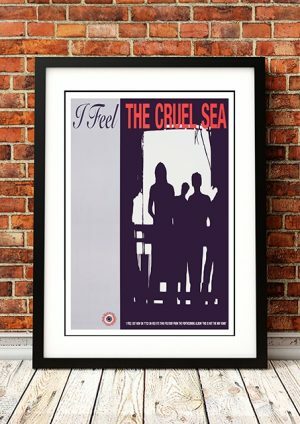 The Cruel Sea are an Australian indie rock band that formed in late1987. Originally an instrumental-only band, they became more popular when fronted by vocalist Tex Perkins. Their popular albums are The Honeymoon Is Over (1993), Three Legged Dog (1995) and Over Easy (1998). Their best-known songs are “Better Get a Lawyer”, “Takin’ All Day”, “The Honeymoon Is Over” and “Reckless Eyeballin'” – an instrumental track from their debut album Down Below that became the theme of Australian TV police drama, Blue Heelers. The band has won five ARIA Music Awards including four in 1994 for work associated with The Honeymoon Is Over. 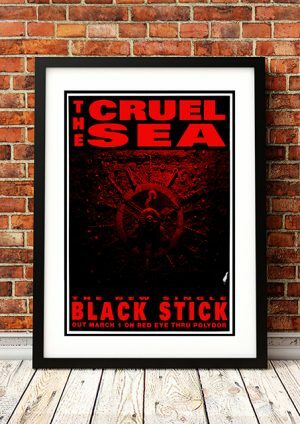 We stock a great range of Cruel Sea band concert posters.